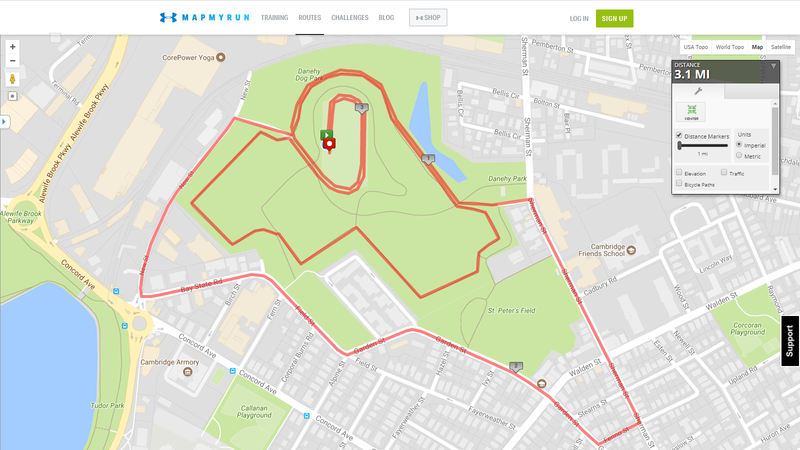 This flat, fast, 5k run & walk starts and ends on the track at Danehy Park. The 5k Race route is entirely on the picturesque foot paths. Walkers will also be in the park but on a separate 3-loop course to avoid bottlenecks with the runners. Fees benefit CRLS student-athlete scholarships, team travel/equipment, and The Andrea Harvey Memorial Fund to help victims of domestic violence. T-Shirts to the first 600 registrants. Thursday and Friday, April 5th & 6th, 10am - 5pm. please arrive between 8:30 and 9:15am. Yes, strollers are allowed, but are asked to start behind all the runners. Parking can be found in lots on New St, Sherman St, and Field St. In consideration of the acceptance of this entry, I do hereby for myself, heirs, executors, administrators, waive and release any and all right and claim for damages I may have against the City of Cambridge, Marathon Sports, and all sponsors by my registration in this event.